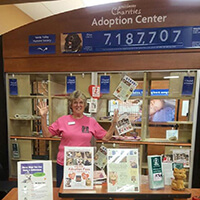 The Humane Society of Sedona (HSS) welcomes lost pets from the City of Sedona, provides them with safe shelter and compassionate care, and works to reunite them with their owners or help them find a new home if owners cannot be located. Search the FOUND PETS section above that includes stray pets turned into HSS and those found and being cared for by individuals in their own home. If there is not a photograph of the found pet it is best to come to the shelter to look at the pet yourself as descriptions of pets can vary. If your pet is not at HSS, check the website of the shelter closest to you and visit the shelter to look for your lost pet. Fill out a Lost Pet Report either in person at HSS or on the phone at 928-282-4679. Let your neighborhood know via word of mouth, social media and through posters describing your lost pet. Check shelters, veterinarians and neighborhood “found pet” posters near you daily. Ask neighbors if they have opened and closed a shed, garage, our outbuilding since your pet has gone missing. Sometimes curious pets wander in and become trapped. Search the LOST PETS section above to see if an owner has reported the pet missing. If you are able to keep the pet at your home while the owner is located, HSS will help find the owner. File a Found Pet Report either in person at HSS or on the phone at 928-282-4679. 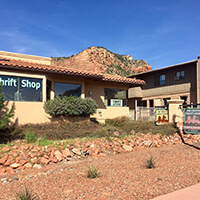 If you are not able to keep the pet at your home and if the pet was found within the city limits of Sedona, you may bring the pet to HSS during business hours 10 a.m. to 4 p.m. daily. If you are not sure if the pet was found within the City of Sedona, call HSS for the boundaries. 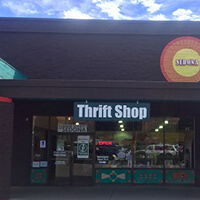 VOC is not within the City of Sedona. If the pet was found outside the city limits of Sedona, please take the pet to the appropriate shelter. Pets found in the local cities within Yavapai County (VOC, Rimrock, Clarkdale, Cottonwood, Camp Verde) are housed by the Verde Valley Humane Society at 928-634-7387. Call HSS to determine which shelter houses strays for that area.